This week we’ll be looking at Lucario. Lucario is a Fighting/Steel type from generation four. Lucario is one of the mascot Pokemon from generation 4, getting its own movie and a spot in Super Smash Bros Brawl. Lucario hasn’t been a viable Pokemon for VGC in the past seasons; this can be attributed to its average speed and poor defences. This has all changed in generation six, Lucario has been given a Mega Evolution that boosts its speed and offensive power. Lucario also gains some viability as a Pokemon that can out speed and OHKO Kangaskhan with ease. Lucario has three abilities: Inner Focus, Steadfast, and Justified. 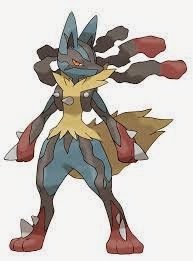 Mega Lucario’s ability is Adaptability, which boosts Mega Lucario’s same type attack bonus (STAB) from 1.5x to 2x. Inner Focus prevents flinching, rendering Fake Out useless against it and preventing random Rock Slides from ruining your day. Steadfast boosts your speed when you flinch, allowing you to most likely go first on the following turn. Both abilities are useful but I would always chose Inner Focus to prevent the opponent from ruining a turn for me. 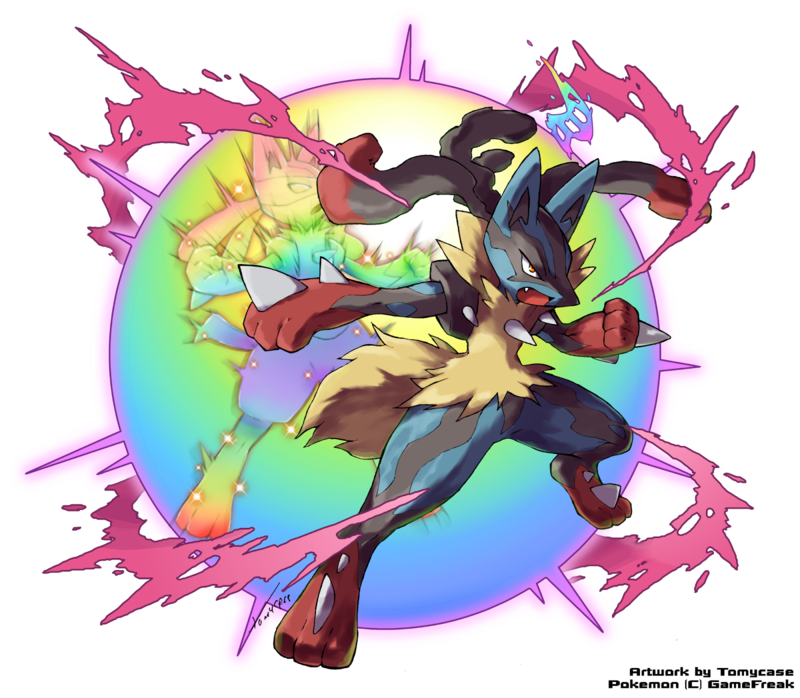 The final ability is Justified, which increases Lucario’s attack stat by one stage whenever it is hit by a Dark type attack. Because Lucario isn’t going to be the target of any Dark type attacks due to its typing you’ll either need to switch it in on a Dark move targeting another Pokemon or use a move like Beat Up on your own Lucario. Mega Lucario has Adaptability, making its Fighting and Steel moves far stronger than usual. Close Combat will smash holes in teams and Bullet Punch will be able to OHKO frail Pokemon. Lucario has the following base stats: 70 HP, 110 Attack, 70 Defence, 115 Special Attack, 70 Special Defence, and 90 Speed. Having high attack and special attack allows Lucario to use both physical and special sets effectively. 90 speed allows you to speed tie with Kangaskhan on the turn it Mega Evolves and out speed everything with less than base 90 speed. Faster Pokemon will out speed you unless you use a Choice Scarf. Lucario’s low defences make it quite frail, although it’s typing gives it a plethora of resistances so it can at least survive one of those. Mega Lucario has base 70 HP, 145 Attack, 88 Defence, 140 Special Attack, 70 Special Defence, and 112 Speed. The massive buff to both offensive stats along with Adaptability make Mega Lucario far stronger then its base form. 112 Speed puts Lucario comfortably above most of the metagame, allowing it to get the jump on Pokemon such as Mega Kangaskhan, Charizard, and Garchomp. The 88 Defence increases Mega Lucario’s survivability slightly. It can be trained to survive an Earthquake or a Power-Up-Punch, but don’t expect much from it. Lucario has a myriad of options for both physical, special, and supporting sets. For physical moves we have Close Combat, Bullet Punch, Rock Slide, Crunch and Extreme Speed. For special moves we have Aura Sphere, Flash Cannon, Hidden Power Ice, and Vacuum Wave. Other moves Lucario learns are Follow Me, Quick Guard, Feint, Swords Dance, Nasty Plot, Heal Pulse, and Final Gambit. Lucario learns other moves that are usable, but they’re incredibly niche and probably not worth it. The amount of sets Lucario can use is greater then most Pokemon in VGC due to its vast move pool and equal stat distribution amongst it’s offensive stats. 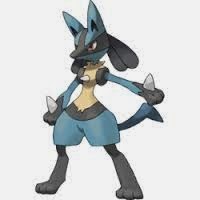 Since Mega Lucario’s base attack is higher then its special attack and Close Combat is stronger than Aura Sphere it makes sense to pick physical Lucario. 244 Speed puts Lucario above base 110 Pokemon after Mega Evolving, although you lose against other 252 speed Mega Lucario, so you may chose a 252 / 252 spread if you’d like. Theres also the option of dropping down to 180 speed, which puts you just above Garchomp but below base 105 and 110 Pokemon. This would allow you to invest into bulk but due to Close Combat lowering your defences I wouldn’t bother. Close Combat smashes anything that doesn’t resist it. Bullet Punch takes care of frail Fairy types and gives Lucario a priority move. Swords Dance will boost Lucario’s attack to terrifying levels and if you can set it up safely it’ll put a ton of pressure on the opponent. Rock Slide beats Mega Charizard-Y, unless they invest in a massive amount of bulk. Crunch gives Lucario a way to deal with Ghost types. Extreme Speed is good for niche situations like getting a finishing blow off and a Pokemon with a priority move, dodging a Sucker Punch when you’re low on HP and getting a hit off a Pokemon before an opposing Rage Powder / Follow Me activates. Because of how popular Intimidate and Will-O-Wisp are special Mega Lucario is also viable for VGC. Aura Sphere nets a OHKO on fast Kangaskhan, but not on bulky Kangaskhan. Flash Cannon OHKO’s Gardevoir. Like Swords Dance on the physical set, Nasty Plot boosts Lucario’s special attack by 2 stages, making it a huge threat if pulled off. Vacuum Wave Gives Lucario a priority move. Dark Pulse serves the same purpose as Crunch did on the physical set. Hidden Power Ice is an option but it doesn’t get the OHKO on Garchomp so I don’t consider it to be worth a slot. Since this Lucario doesn’t lower it’s defences with Close Combat I’ve given it 180 speed to just put it above Garchomp and put the rest into bulk and give it a higher chance of surviving Garchomp’s Earthquake. This set has one simple goal: KO Mega Kangaskhan right off the bat. Close Combat OHKO’s 4 HP / 0 Def Kangaskhan 100% of the time and has a 75% chance to OHKO 252 HP / 0 Def Kangaskhan. The rest of the moves provide coverage. Scarf Lucario can also use Final Gambit, although you’ll need to move your attack EVs into HP and lose the ability to OHKO Mega Kangaskhan. Staraptor is the best user of Final Gambit in the VGC 2014 ruleset, but with Lucario it’ll be a surprise. Admittedly I’ve never used a Follow Me Lucario and don’t consider it to be a great user of the move, I wouldn’t be covering all the bases if I didn’t mention it. Follow Me isn’t a move most expect when they see Lucario, so you might be able to catch your opponent off guard. Aura Sphere still deals decent damage without investment and gives you a chance if Lucario is your last Pokemon. Quick Guard, Feint, and Heal Pulse all support your partner. Since you have a full HP investment Final Gambit is an option if you use it right off the bat. The above spread allows Lucario to survive Fire Blast from Salamence and Tyranitar, Heat Wave from Chandelure, Earthquake from Garchomp, and Power-Up-Punch from Kangaskhan. The choice of item depends on what the rest of the team needs. Sitrus is ideal but plenty of Pokemon are happy to have a Sitrus Berry to hold. Lucario works well with Dragon/Flying types such as Salamence or Noivern, as they can switch into the others weaknesses. Gyarados also works well with it. Intimidate support will allow Lucario to survive Garchomp’s Earthquake for sure. If you’re using Swords Dance or Nasty Plot it would be good to have a Pokemon that helps it set up like a Fake Out user or Amoonguss. Lucario appreciates partners that can deal with Dragon types like Garchomp and Salamence. Scarf Gardevoir can deal with these threats, as can your own Scarf Salamence. Most Lucario will want a partner that can KO Aegislash and Gengar if they don’t carry a Dark move of their own. Mega Lucario isn’t one of those Mega Pokemon that you want to bring to every battle. Because of this it works well on double Mega teams. Keep this in mind as you build a team with Lucario. If your team has a Mega you don’t always want to bring or you have a lot of trouble with Kangaskhan Lucario makes for a great alternate Mega. Having Lucario on a team with another potential Mega gives your opponent a lot to think about in team preview. Salamence is a fantastic counter to Lucario, being able to switch into an attack from it, out speed it and OHKO it with Fire Blast. Amoonguss is able to redirect and withstand most attacks from Lucario. Aegislash can wall most sets so long as they don’t use a Dark/Ghost move. Garchomp out speeds regular Lucario and can still survive a hit from Mega Lucario and retaliate with Earthquake. Talonflame can also out speed and KO Lucario, however it can’t take a hit from Lucario at all. If you’ve been keeping up with the metagame you’ll notice that all the Pokemon I listed are very common to see. This is why Lucario hasn’t seen as much play as it could. Its interesting to note that in Smogon’s singles format (which might as well be the only one that exists) Mega Lucario has been banned because it is considered nigh uncounterable. In doubles Lucario is certainly a threat but it can be dealt with because you have two Pokemon out at once and at least one of them should be able to deal with it. I hope you’ve been enjoying the series so far and if you want to see your favourite Pokemon featured next week let us know! ← It’s a bird! It’s Tomohawk! No, it’s Hawlucha!